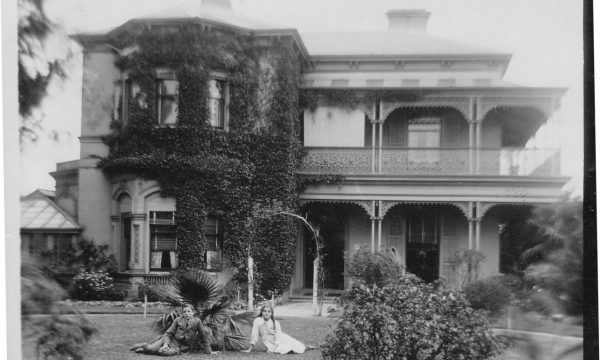 1918 St Mary’s Hall opened with the first ten students in a stately home at the Avenue, Parkville called Barbiston, affiliated to University of Melbourne through Newman College. By the end of 1918 there were sixteen students in residence and eight staff. In 1923 a further property “Les Buissonnet’s was acquired increasing the accommodation to sixty students. St Mary’s Hall was the first Catholic residential College for women at an Australian University. From its beginnings, the Hall was administered by the Institute of the Blessed Mary Virgin (IBVM) the Loreto Sisters, an international Catholic religious Order for women founded in the 17th century by Mary Ward, an Englishwoman. Women students were not even admitted to Melbourne University until 1881 and their numbers in 1894 were small. The founding principal was Mother Patrick Callinan who continued in that office until 1943. As well as lecturing at university, she tutored students at St Mary’s Hall, instilling in them a lifetime appreciation of English and History. In many ways she was a woman ahead of her time. She believed in womens’ rights. She encouraged students to attend art galleries and museums and appreciate culture. She had a tremendous understanding of young people. It wasn’t long before accommodation became inadequate for the number of students applying to live at St Mary’s Hall. It was inadvisable to build further at such a distance from the university. Furthermore, isolation denied students proper involvement in university life. 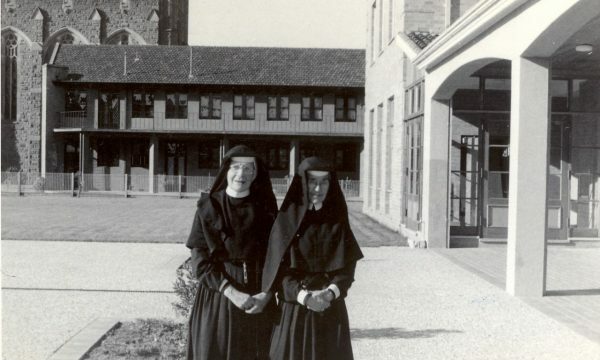 In 1963 Archbishop Mannix, after much persuasion from Mother Francis Frewin, approved the establishment of an independent Catholic College for women. A public appeal was launched to build the new college. The College opened in 1966 on Swanston Street with the East and South Wing completed. It opened as a separate college, no longer part of Newman College but directly affiliated with the University. There were ninety students in 1966. In 1919, the North Wing and library were added. Mother Francis retired as principal in 1969. Under her guidance and administration the present college was developed and built. For 25 years she had been an outstanding educationalist with a great love of English and French literature. She established the basis of the excellent fine arts collection in the college library which was later named after her. Mother Francis poured her heart and soul into the beautiful chapel, engaging a fine Romanian cabinet maker, Shulin Krimper, to do the exquisite panelling and matching wooden pieces. Her successor Mother Joan Nowotny brought the college to completeness with the final west wing. The west wing opened in 1973 and the first male tutors were in residence. 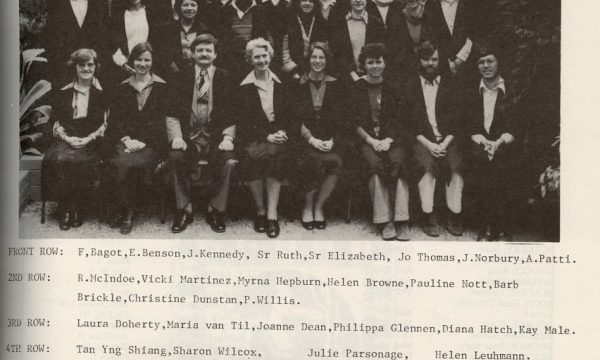 In 1977 St Mary’s became co-educational, seeing its first male president of the student body in 1980. The first College Day was also celebrated this year. Co-education in University Colleges does provide a social and academic climate which is beneficial to students. It promotes a positive healthy and natural environment and provides an education for the students in relating to one another as people in a “family’ atmosphere. As such it appears to provide a better education for later life. It provides the opportunity for a greater range of academic disciplines and general interests within the college and a consequent enrichment of student life within the total university experience. It provides a balanced and moderate style of community living resulting in a more stable and mature community. The decision to go co-ed followed the general trend around the Crescent for co-education. Under the capable direction of Sister Elizabeth Nowotny, the transition was a smooth one and worked very satisfactorily. The first intake of male students comprised post-graduate students and students in senior years. In 1993, St Mary’s celebrated 75 years of foundation, approximately 27 of those years being on the Swanston Street site. 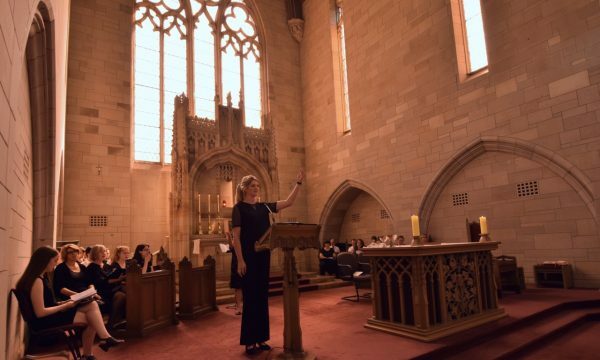 Celebratory events included a garden party at the original St Mary’s Hall in Parkville on Saturday 13th February, followed by a mass on the Sunday at Newman College Chapel, celebrated by Archbishop, Sir Frank Little, Chairman of the College Council. Refreshments were served afterwards in the courtyard of St Mary’s College. The weekend of celebrations, brought hundreds of former students and staff back to the college to mark the anniversary. On the 31st July there was a Ball in the Great Hall of the Victorian Arts Centre for both present and past members of the College. Sister Jane Kelly, principal of the College pointed out that in 75 years, St Mary’s had changed its location and in 1977 with the admission of young men, its composition “but the values and the vision remain and there is much to celebrate.” From the ten young catholic women resident in 1918, the College now enjoyed a capacity of 156 students including 140 undergraduate students and a further 16 who made up the administrative and tutorial staff. A high percentage of students came from the country. The Loreto Sisters conclude 96 years of leadership and administration of the College. Sister Liz Hepburn was the last in a line of erudite and dedicated Loreto sisters who had run the college since its opening in 1918. She had taught in schools and universities and held degrees in psychology, education, pharmacology, theology and philosophy (bioethics). Her career had been diverse and she brought a wealth of experience and knowledge to her role as principal. 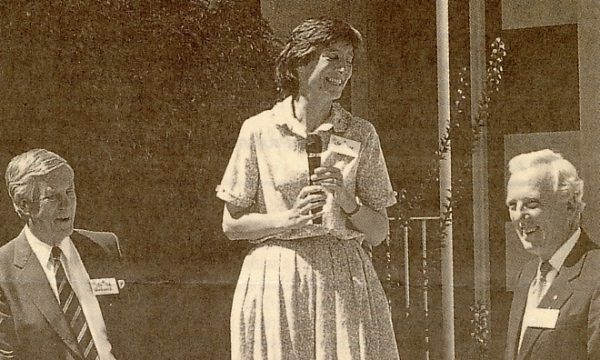 She imbued a real sense of community amongst students and viewed college as a place where students could be themselves and where difference is not just tolerated but celebrated. She often reminded students of the words embedded in the St Mary’s College mission statement to be “seekers of truth and doers of justice, ” words of the foundress of the Loreto Order Mary Ward. During Sister Liz’s time at the college, major renovations and refurbishments took place since the opening of St Mary’s College in 1966. The upgrade commenced with the South Wing in 2011, followed by North Wing in 2012-2013, East Wing 2013-2014. West Wing was completed in 2014-2015. All restoration works were planned over the holiday period. During Sr Elizabeth’s time, the inaugural Francis Frewin Cocktail party was held in 2011, and this now takes place each year. Sister Liz retired at the end of 2013, marking the end of the 96 years of Loreto administration of the College. This leadership and governance of the college is now undertaken by the Catholic Archdiocese of Melbourne and the Catholic Bishops of the Country dioceses. 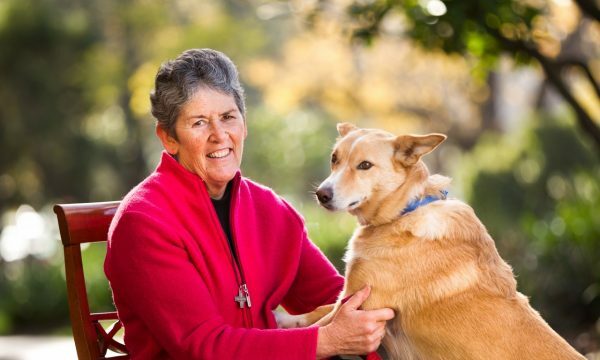 Having assisting Sr Liz as her Deputy for three years, Dr Paul Gallagher became Acting Principal for one year before the appointment of Dr Darcy McCormack in January 2015 as the first lay Principal of St Mary’s College to continue the work of the Loreto Sisters. A Gala Dinner & Garden Party to celebrate 50 years of St Mary's on the Swanston St site. St Mary’s College Jubilee celebrating 50 years on Swanston Street and 96 years of Loreto leadership, was held over the weekend of 12th and 13th March 2016. A gala dinner was held on the Saturday night attended by many guests, many of whom hadn’t visited the college for many years. A highlight of the evening were the speeches given by Margaret Flatman, Sr Jane Kelly, IBVM, Sr Margaret Manion IBVM and a beautiful grace by John O’Donohue, read by Sister Liz Hepburn. Musical offerings were given by St Mary’s Alumni: Juliana Clark and Matthew Fagan. On Sunday mass was celebrated in the Chapel of the Holy Spirit, Newman College by Archbishop Denis Hart. A garden party followed for over 300 guests in St Mary’s courtyard. St Mary's celebrates 100 years! A series of celebratory events will be planned.